Indian painter M. F. Hussain. . Wallpaper and background images in the Fine Art club tagged: painting fine art. This Fine Art photo might contain ڈاؤن لوڈ ہونے والے, مزاحیہ کتاب, منگا, کارٹون, ہالی ووڈ, and کامک بُک. Close-up تصویر of Salvador Dali’s painting "The Persistence of Memory"
Beautiful paintings for ہوم decoration? I really like the style this artist uses. 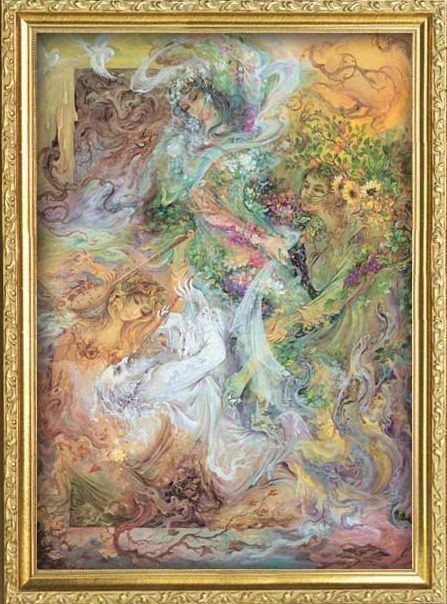 The figures almost seam to be floating in the swirls of color, very beautiful.